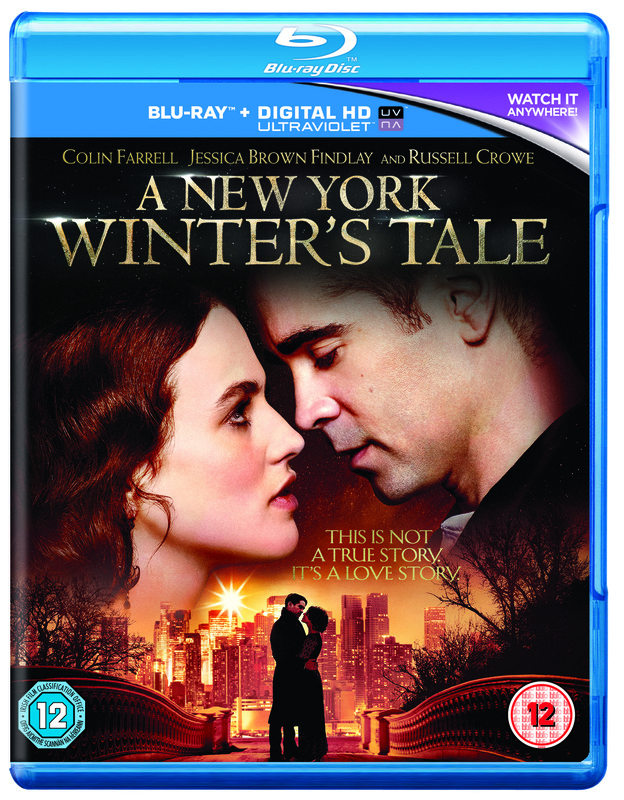 Between love, destiny and darkness comes A New York Winter’s Tale, arriving on Blu-ray and DVD on 18th August. Marking the directorial debut of Academy Award®-winning screenwriter Akiva Goldsman (A Beautiful Mind), A New York’s Winter’s Tale is a perfect love story. Based on the acclaimed novel by Mark Helprin, A New York Winter’s Tale stars Colin Farrell (Saving Mr. Banks), Jessica Brown Findlay (Downton Abbey) and Academy Award® winner Russell Crowe (Gladiator), alongside Jennifer Connelly (Stuck in Love), William Hurt (Bonnie and Clyde), Eva Marie Saint (The Legend of Korra) and Will Smith (After Earth). Set in a mythic New York City and spanning more than a century, A New York Winter’s Tale is a story of miracles, crossed destinies and the age-old battle between good and evil. Peter Lake (Farrell) is a master thief who never expected to have his own heart stolen by the beautiful Beverly Penn (Brown Findlay). But their love is star-crossed: she burns with a deadly form of consumption, and Peter has been marked for a much more violent death by his one-time mentor, the demonic Pearly Soames (Crowe). Peter desperately tries to save his one true love, across time, against the forces of darkness, even as Pearly does everything in his power to take him down – winner take all and loser be damned. What Peter needs is a miracle, but only time will tell if he can find one. Check out the exclusive clip below! We have x5 copies of the Blu Ray up for grabs to lucky readers! To enter, all you have to do, is follow our sister site on Twitter @LifestyleLinked and tweet them the following: I would love to win a copy of A New York Winter's Tale On Blu Ray with @LifestyleLinked please! Don't forget, you have to be following us to win! Good luck and competition closes September 5th 2014. A New York Winter’s Tale is out on Blu-ray and DVD Now!